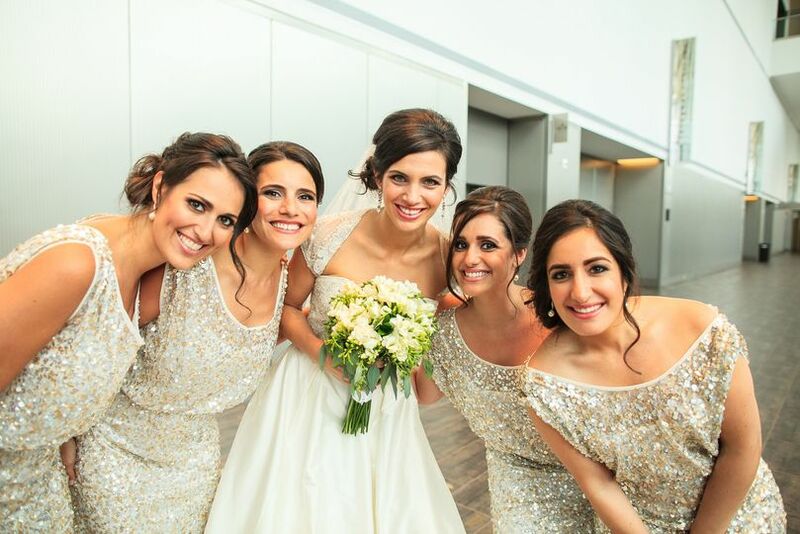 Planning sensational weddings and events is our specialty! 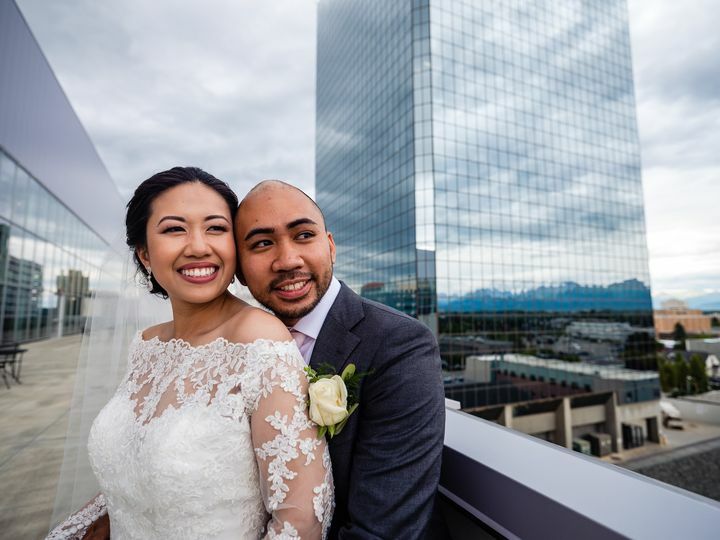 From our professional expertise to your personal touch, the Dena'ina Center is here to help create memories that will last a lifetime! 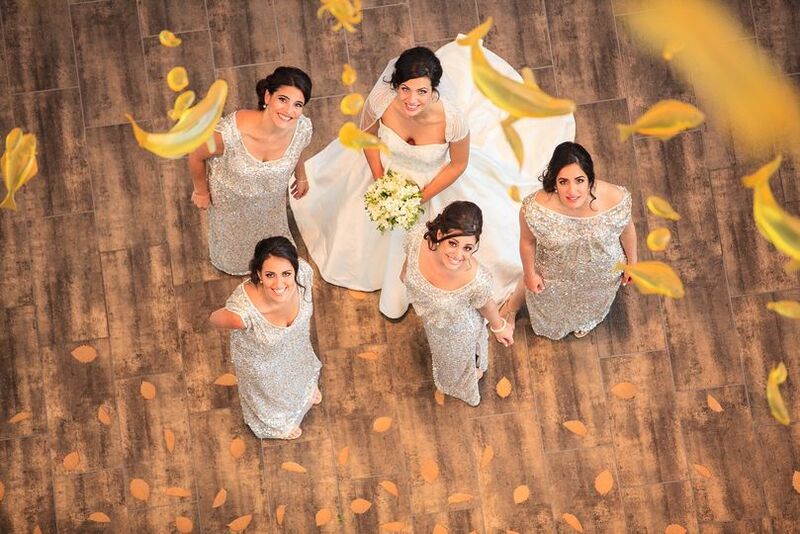 Whether you are looking for a grand ballroom or an intimate setting, we have the perfect space for your wedding! Our neutral style and natural earth tones make a beautiful backdrop for your special celebration, and our large panoramic windows bring a little of the outdoors in. 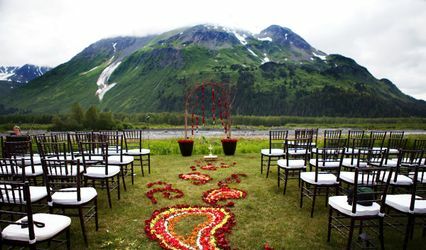 Throughout the seasons, your guests will enjoy the lovely scenery that surrounds Anchorage. 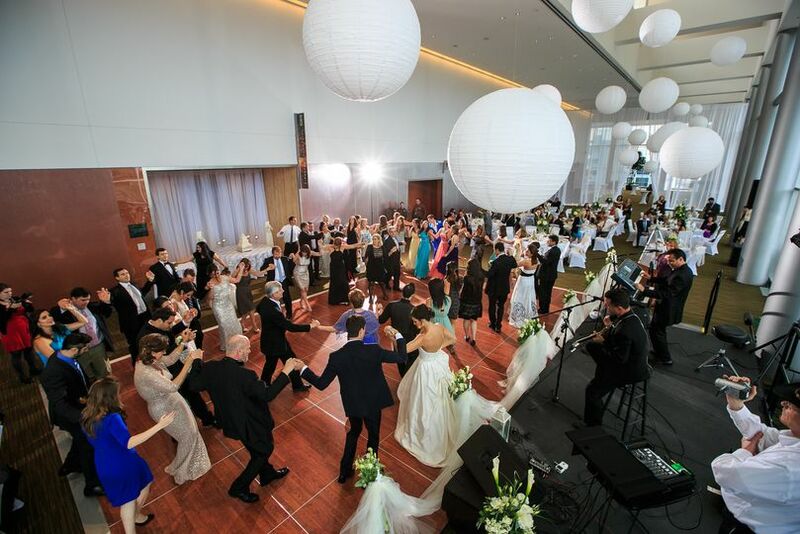 Tikahtnu Ballroom - Although the entire ballroom can seat up to 1,500 guests, it may be separated into as many as five different event spaces, making it perfect for smaller weddings. 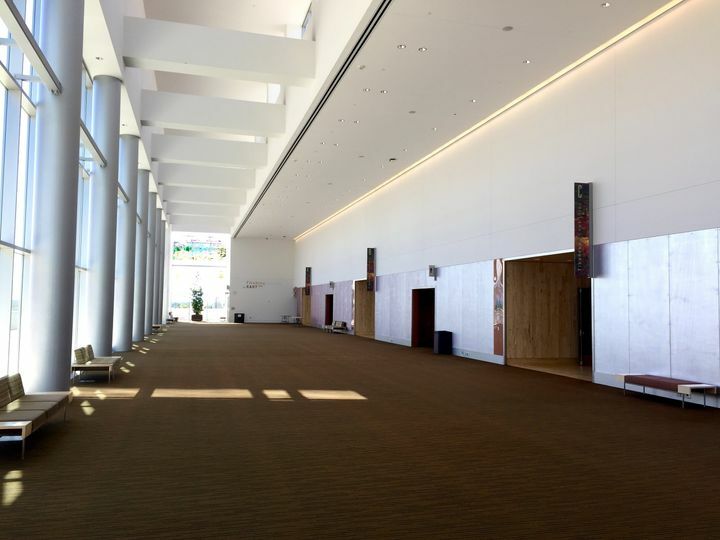 Each section of the ballroom features 30-foot ceilings with large skylights. Section A also features a wall of south-facing windows with stunning views of the Chugach Mountain Range. Tikahtnu Foyer - This large foyer outside of the Tikahtnu Ballroom features floor-to-ceiling windows with panoramic views of Anchorage and the surrounding Chugach Mountains. 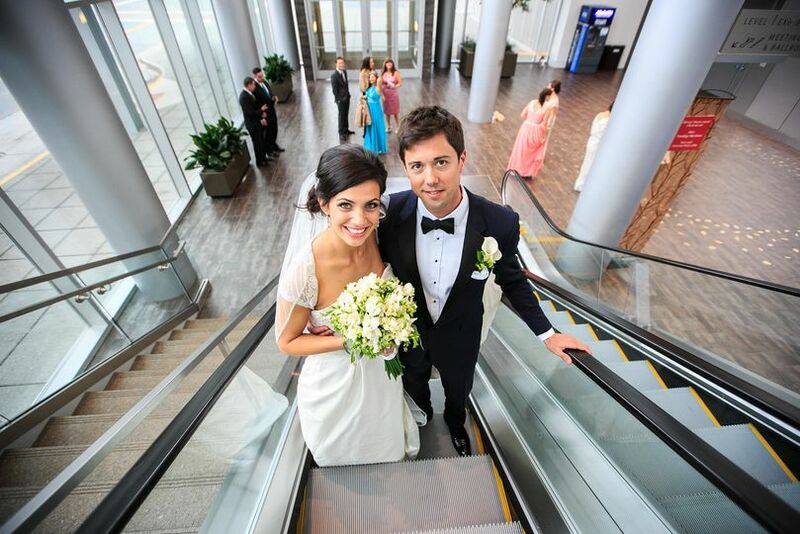 It is a perfect space for your wedding ceremony prior to your reception in the ballroom. K'enakatnu - On our second floor, K'enakatnu is the perfect space for an intimate wedding, featuring south-facing windows and native artwork. Great food prepared with care and served with a smile is a key ingredient to a successful wedding. 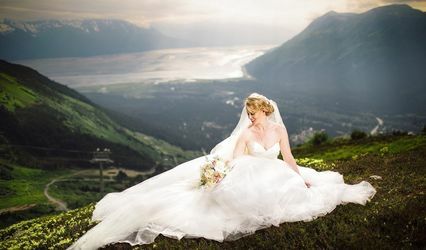 SAVOR… Alaska, our exclusive full-service catering arm, specializes in Alaska and continental cuisine, with all meals prepared fresh on-site. SAVOR... Alaska is also available for off-site catering. Contact us for more information on our custom catering options. 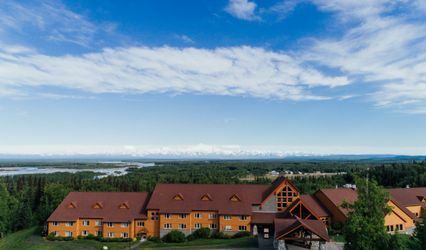 Located in the heart of downtown Anchorage, Alaska, the Dena'ina Center is within close walking distance to parking lots and garages, hotels, and other entertainment. 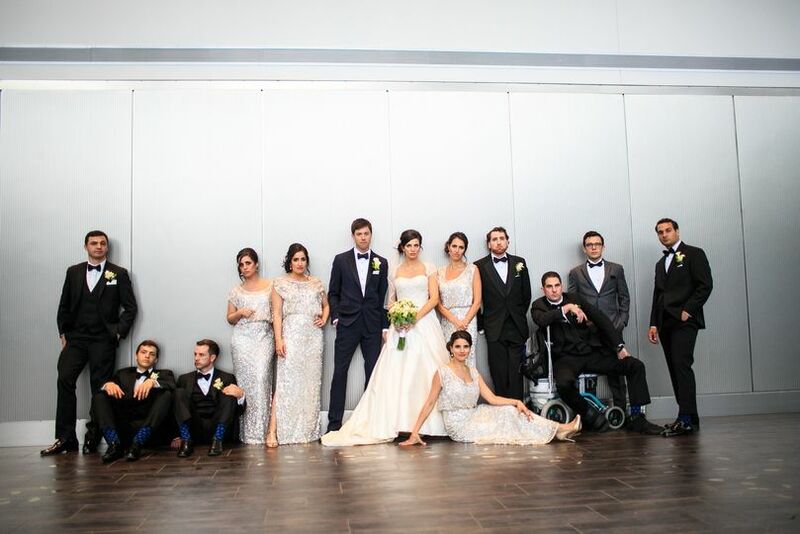 My wedding day was a breeze with the help and courtious staff. If I needed something they were quick to help. I want to point out that even though this says "ceremony and reception" we only held our reception at the Denaina, not our wedding ceremony. Great place for a wedding reception! 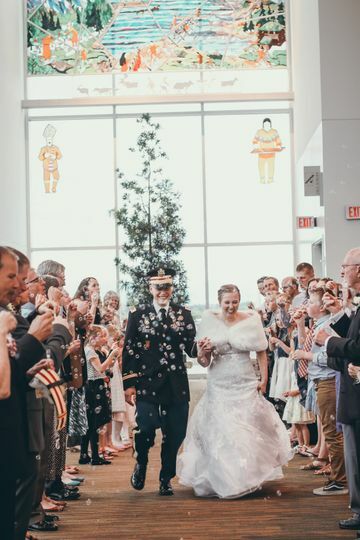 My wedding was a dream come true! The food was splendid, the lights provided by R&R Productions were matched to my wedding colors, and the service were superb!!! The help we received throught the planning of our wedding was amazing!!!! Everything we desired, everything we dreamt of. It was like our own magic night. Everything was a delight. I cannot think of anyone more professional to work with. You know you are in good hands from the moment you start talking to them. And believe me, I went and took lost of pictures from many other various places, before I decided on the Dena'ina. Some of those other places were not ready for me even though we scheduled an appointment. 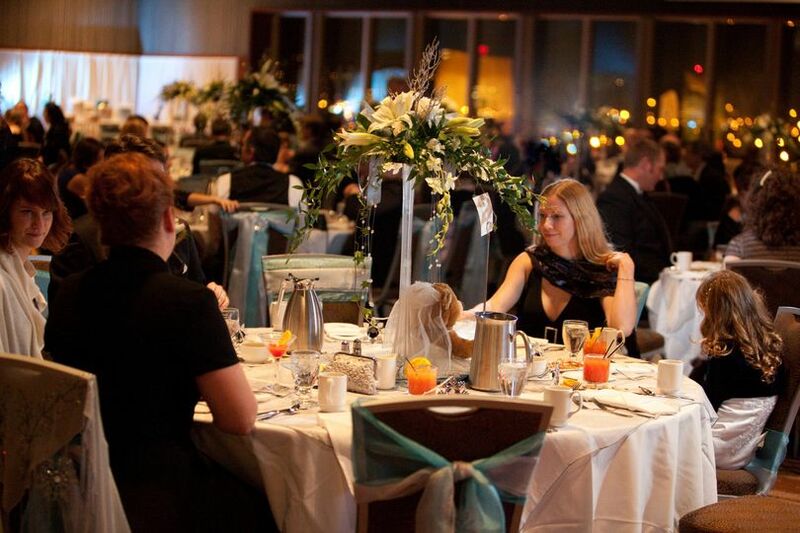 Others never followed up with me after I asked for pictures of the linens and of the events that have alredy taken place in such facilities (like the Marriott downtown Anchorage). Nonetheless, I did not give the Denaina a total 5 points in responsiveness. The reason is that since we didn't have a wedding planner some very good friends of ours set up all the decoration, overlays, centerpieces, LED candles, mirrors, chair covers, sashes for the chairs, etc (if you ever need a set up crew! I will give you their phone number! They really made everything look like out of a dream!). The decoration for the signing table could not be placed before an event manager could get to the Denaina for understandable security reasons (which I appreciated inmensenly). So we were advised to leave these 3-5 items on the guift table and the event manager will put them out on the signing table. I left explicit notes on each item of what needed to be done with each one of them. Well for my dismay not all of the items made it out to the signing table. We were a little dissaponted about this, just because without them, the signing tables looked a little plain in such a bright light. Some of these items were candy jars that guests really appreciate when they are signing your wedding book and your wedding picture. It is a little "Welcome! Thank you for coming to our reception, come in, please!". But other than that, everything went without hiccups! JUST A DREAM COME TRUE!